The bio of Richard Penwarden junior | Launceston Then! Richard Penwarden. Courtesy of Launceston Town Council. 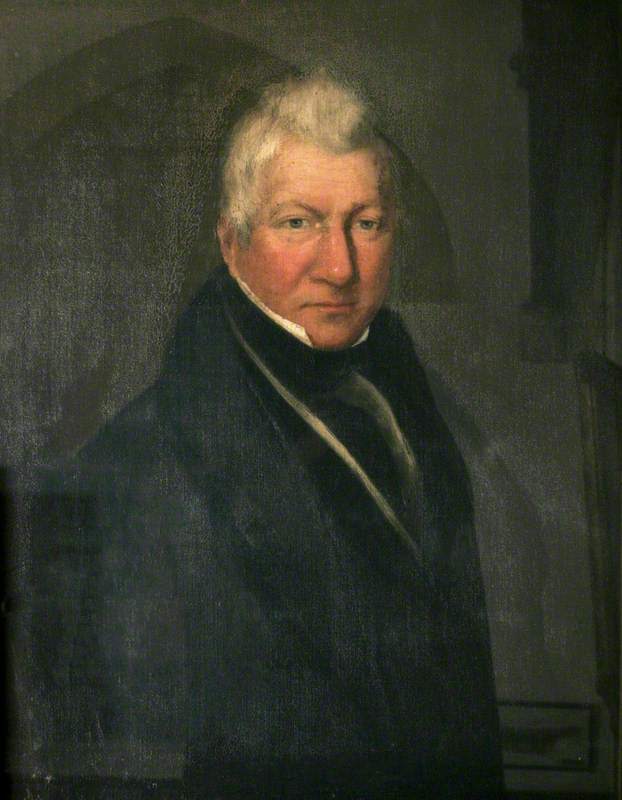 Richard was born on July 17th 1809 to Richard and Jane Penwarden at Launceston the eldest of five children. His father ran a saddlery business in High street and was also a member of the town council being elected Mayor on five occasions. 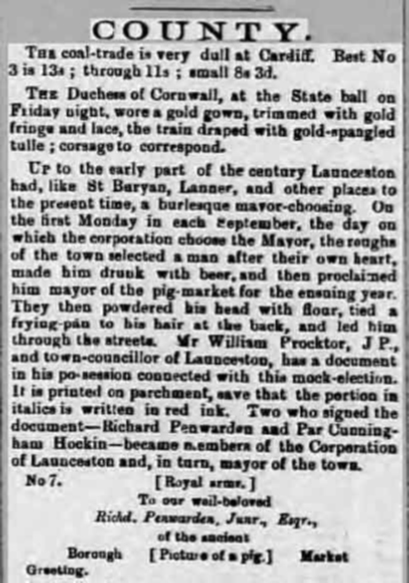 Richard junior followed into his fathers business and later on in 1838 to the town council where in 1844-45 he to served a mayor of Launceston. However the three years later he was declared bankrupt. In the 1851 census he is shown as living in Westgate street and still working as a saddler along with his brother James and Sister Mary.